Check out the amazing news products and delivery options available on Silver Chelles website. 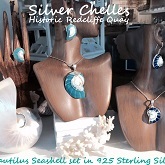 Visit Silver Chelles for unique souvenirs, home decor and beautiful jewellery set with polished seashells. 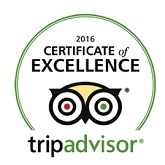 Silver Chelles is proud to announce they have been awarded the TripAdvisor Certificate of Excellence 2016 Award and would like to thank those who made it possible. Great Trip Advisor reviews have led to a #1 ranking in St. John's shopping for Silver Chelles in Redcliffe Quay.